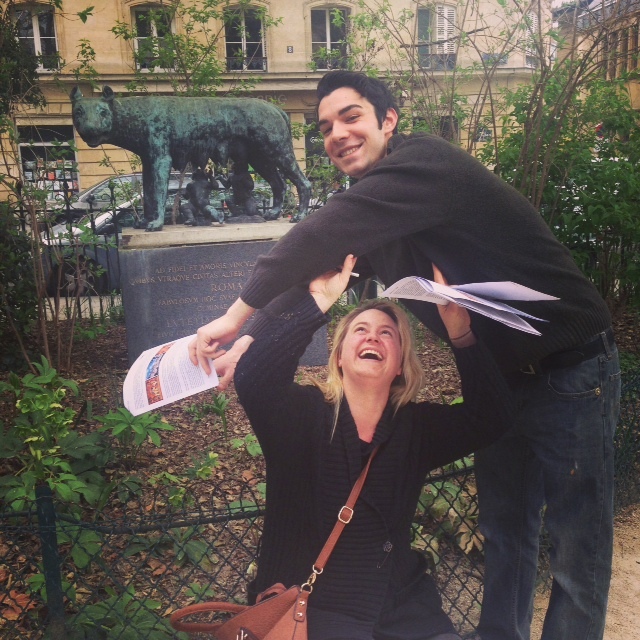 Paris Weekender - THATRue: Launch of Treasure Hunts in the Latin Quarter! 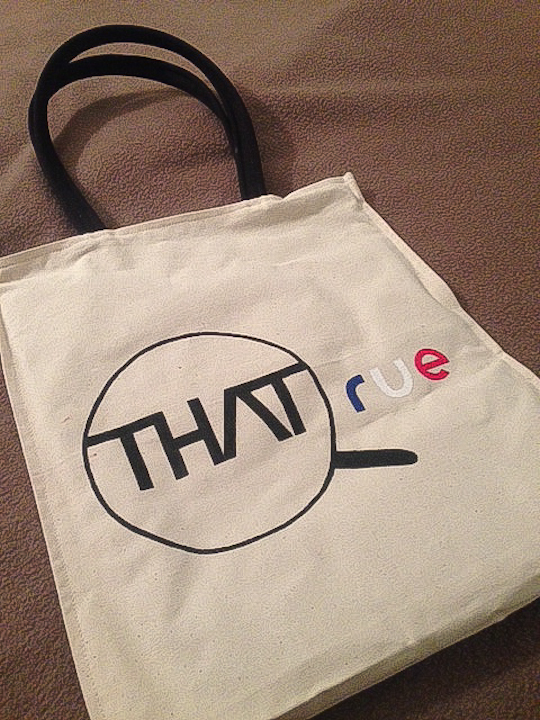 THATRue: Launch of Treasure Hunts in the Latin Quarter! Some of you may be wondering what was up with my bizarre Twitter, Instagram and Facebook video posts on Sunday afternoon. I usually have limits for the level of embarrassment I am willing to allot my online presence. Well, guess what? All rules dictating socially acceptable behavior go out the window when the embarrassment is self-imposed in the name of extra points in a treasure hunt competition–and it was worth every laugh at my expense, because WE WON! Group photo before the start of the hunt–what a great turnout! I would repost the lovely videos here, but I do not want to give away clues for future treasure hunters! And I will protect the names of my fabulous teammates except to say that they recently started their own business offering movie tours of Paris by bus–I cannot wait to join one of their tours!! Sunday was the launch of the creative and talented Daisy de Plume‘s THATRue, a new treasure hunt adventure in the Left Bank’s Latin Quarter, to complement her already popular THATLou (treasure hunt in the Louvre) and THATd’Or (you guessed it–treasure hunt in the Musée d’Orsay). To help kick off the new program, Daisy organized a hunt for a bunch of Paris’s bloggers. We were divided into teams of 2-3 people and followed 20 intricate clues around the Cluny and Saint-Sulpice neighborhoods of the Latin Quarter in the 5th and 6th arrondissements. We received points for each “fill in the blank” we answered correctly based on our findings around the neighborhood and also for our social media efforts. Of course, we had to follow certain guidelines as well, such as no Googling, no asking passing Paris natives for help, no running, and no separating from other group members by more than 3 meters. It was a great team bonding experience (go team Wine Nymphs!! ), a great way to discover the neighborhood in a way we had not seen it before, an interesting lesson in French history and culture (Daisy’s clues give quite a bit of background on a number of sites), a good bit of exercise and just a whole lot of fun. 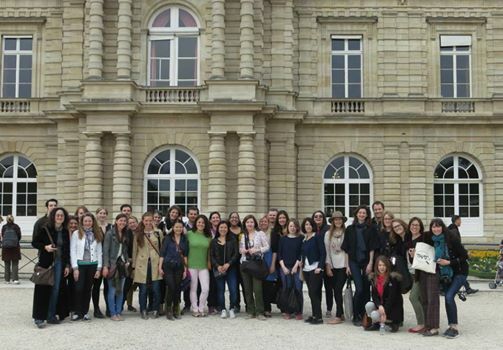 I highly recommend joining one of Daisy’s Paris treasure hunts–whether you are just visiting Paris or have lived here your whole life and just want to see the city in a new light… and the hunts are perfect for birthday parties or corporate outings! Click here for more info on all 3 hunts. And if you missed my interviews with Daisy from last year, I encourage you to read both Part I and Part II ! Thank you, Daisy, for organizing an amazing Sunday afternoon for us! And thank you, dear Abby, for having given everyone such a run for their money! Kudos on the lovely Kasia bag!